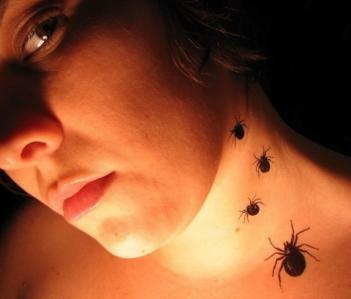 You're a badass and we all know it, adding temporary spider tattoos to your neck just confirms it. Come halloween time, you will be a god to all the children in your neighborhood when they think you have spiders crawling up your neck, but little do they know, thy are just temporary tattoos, that will rub off in the shower. The temporary spider tattoos are handmade with professionaly using a color laser printer, requires a pair scissors, a sponge, water, and a hair dryer for best results, come in a pack of 5, and measure 2" and 1.5" in length. 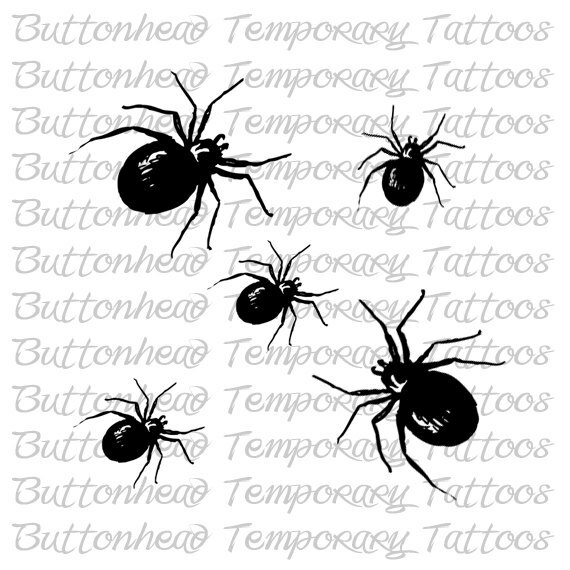 Here are some other temporary spider tattoos.